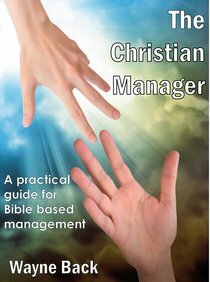 About "The Christian Manager - a Practical Guide For Bible Based Management"
Wayne Back is the founder and Managing Director of Management Training Australia and Organisational Development International. He was converted as a result of a powerful experience of the Holy Spirit whilst doing research in atomic physics at the University of Western Australia. He has been a minister in Christian City Churches in Canberra and Melbourne, Australia for 20 years, serving as a Senior Minister for 13 years and Executive Pastor for 5 years. During this time he started several churches and ministry training colleges as well as managed the staff of one of Melbourne's largest churches. He holds an honours degree in Physics, a Diploma of Ministry and a Masters in Management. Wayne lives in Melbourne, Australia with his wife of 27 years. He has three daughters and a grand-daughter.